Land Sketches are small drawings showing the outer dimensions of the property. Land Sketches can be useful in determining the perimeter and square footage of a property. Sketches are useful to Surveyors, Appraisers, Foundation Repair companies, Lawn Care businesses, and Insurance Agents. 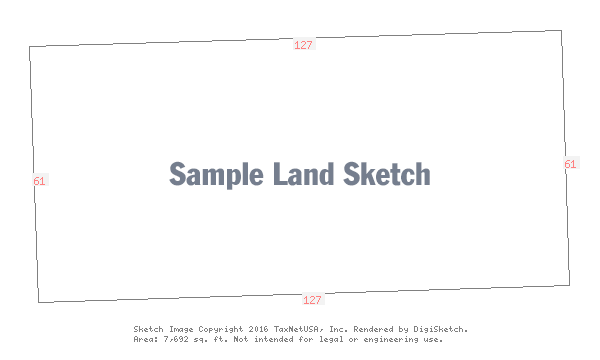 View a sample land sketch. Land Sketches cost 4 credits per sketch.